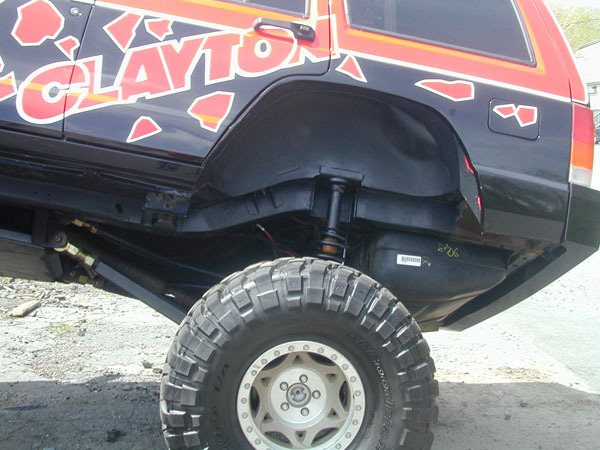 Clayton Off Roads package deal lift kits are specifically designed to offer the best all around performance. 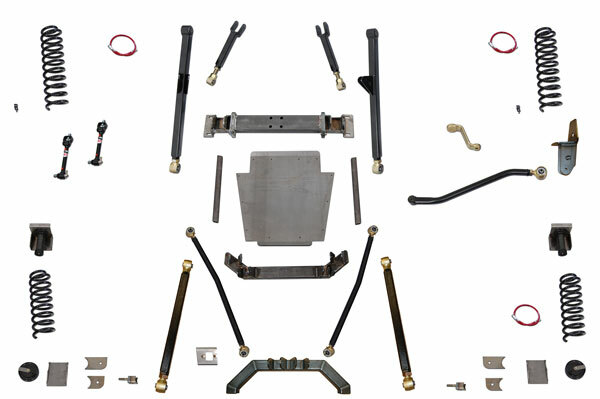 This kit is put together using only the highest quality parts, and vigorously tested to meet our stringent requirements. 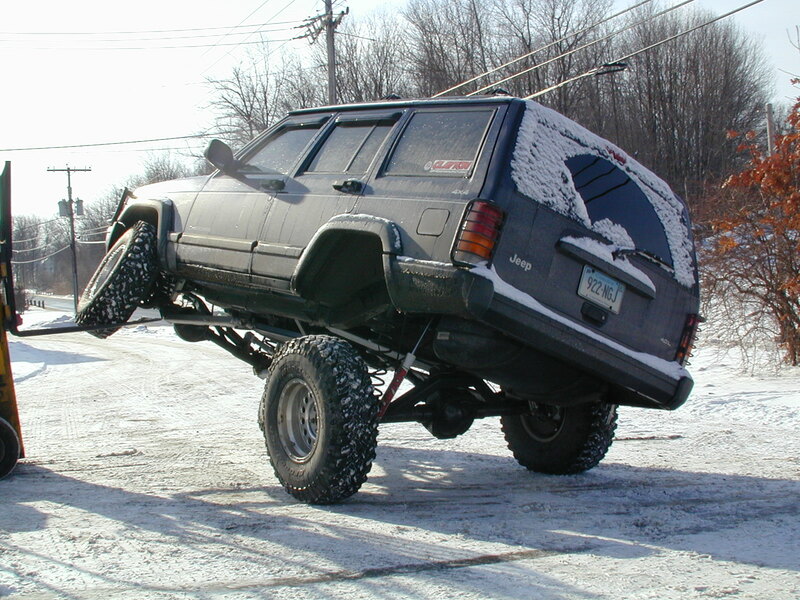 Because this is a package deal lift kit, you know that everything is going to properly work together, to give you the best performance possible. Making bulletproof arms is our name to fame and we back that with our lifetime warranty. But that’s only one step of the equation. When this package deal was put together we had one main goal in mind. 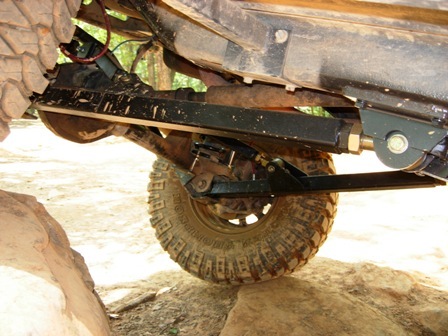 We wanted to build the strongest, most reliable long arm kit on the market. Price is important, but quality has to be a priority. 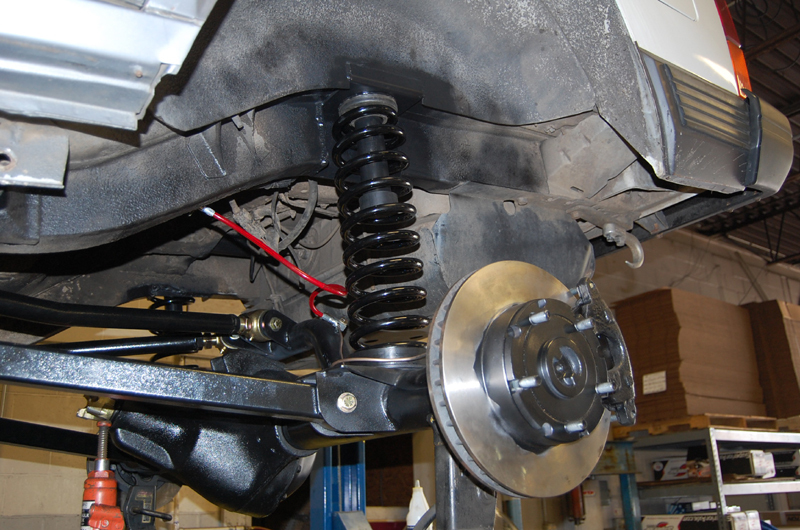 Ease of installation is also very important, but strength and reliability has to be above the rest. 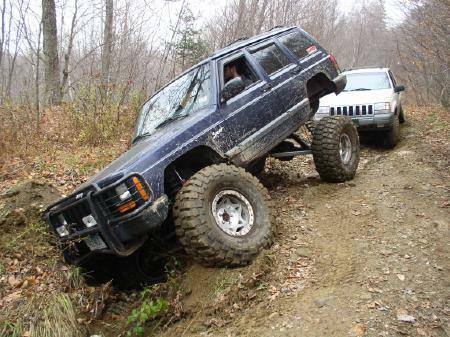 If you save a few hundred dollars, and it falls apart in 6 months, that’s not saving money. 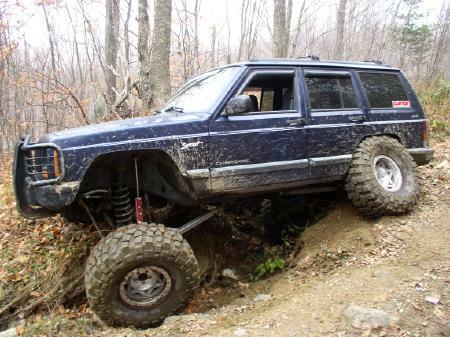 If you can install it for less or faster, but it fails or leave you stranded in the woods, that’s not saving time or money either. 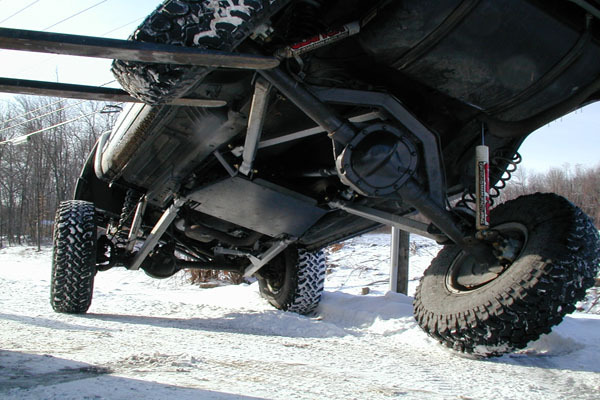 These are all items we thought about when designing, installing and testing our lift kits. 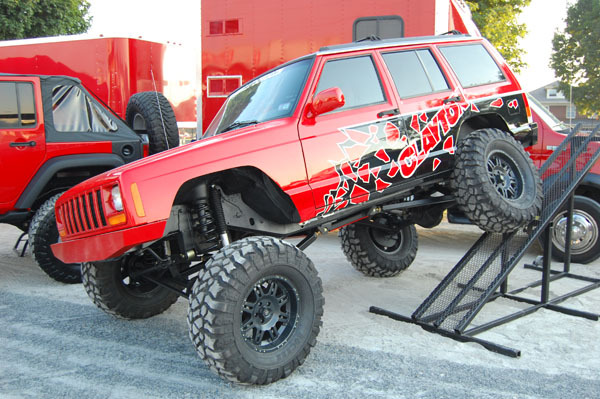 Our obsession to details, is what brings you the best riding, strongest most reliable lift kits on the market, period. 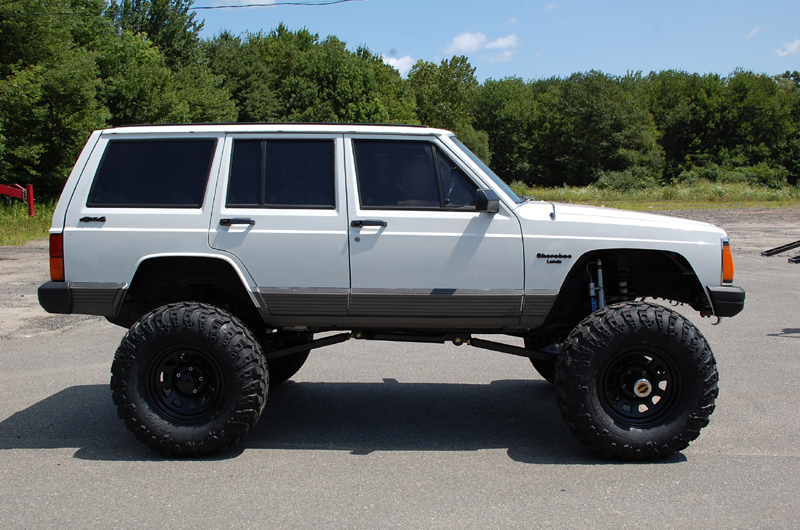 This specific 6.5 inch Cherokee XJ lift kit was designed to run 33 inches tires with some fender trimming due to the extreme flex this kit produces. 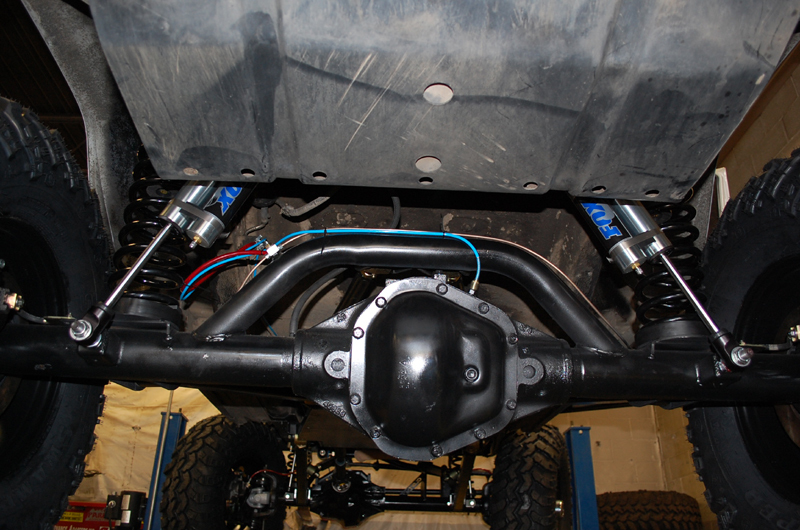 Kit includes, a front 3 piece cross member, all 8 adjustable control arms with hardware, front and rear brakelines, front and rear coil springs, front adjustable trackbar and drop bracket, drop pitman arm, front sway bar disconnects, complete 3.0" high clearance rear axle bracket kit, 1 piece weld in cross member, ¼ flat skid plate, 2 skid plate rails, 1 upper shock mount 2 upper coil bucket brackets. NOTE: 1. 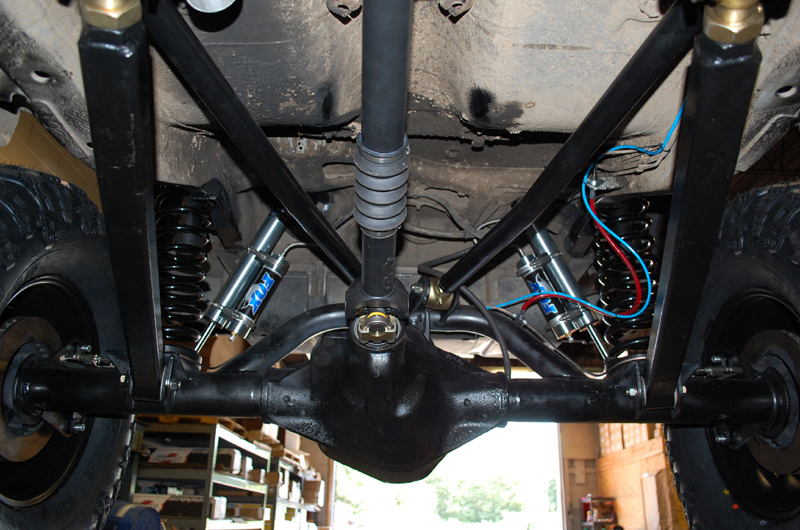 Shocks are optional and we recommend the Bilstein 5100s. 2. 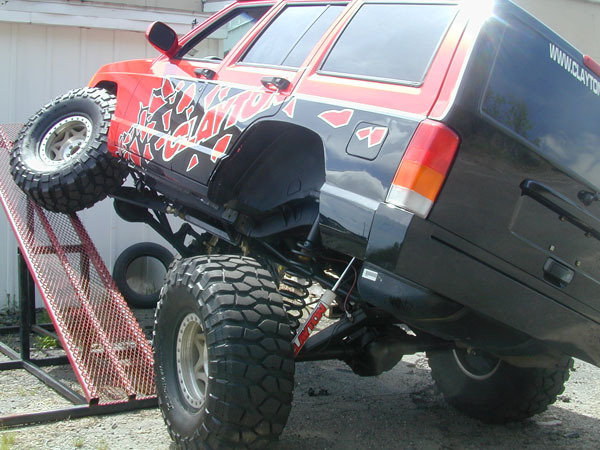 Welding and cutting is required to install this lift kit. 3. 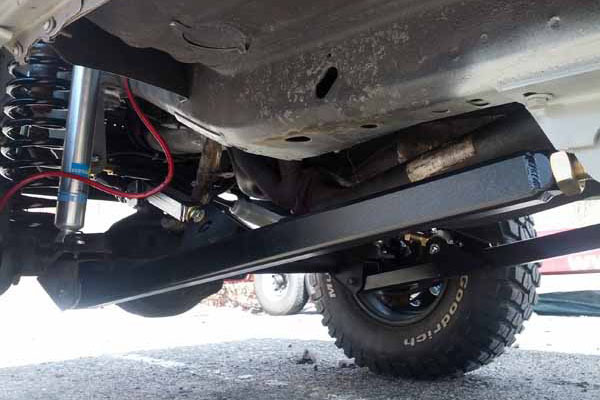 Custom exhaust is required. 4. 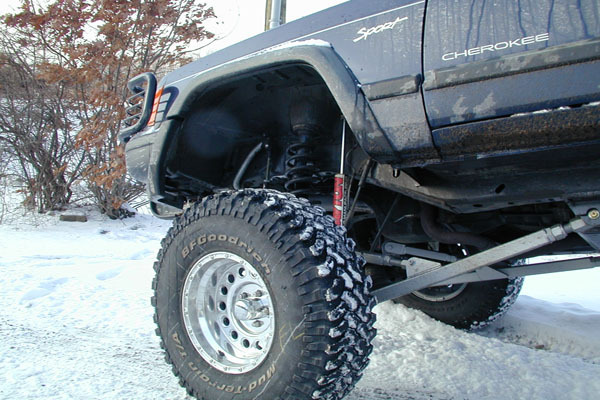 Moving the e-brake bracket maybe necessary on certain models/years. 5. 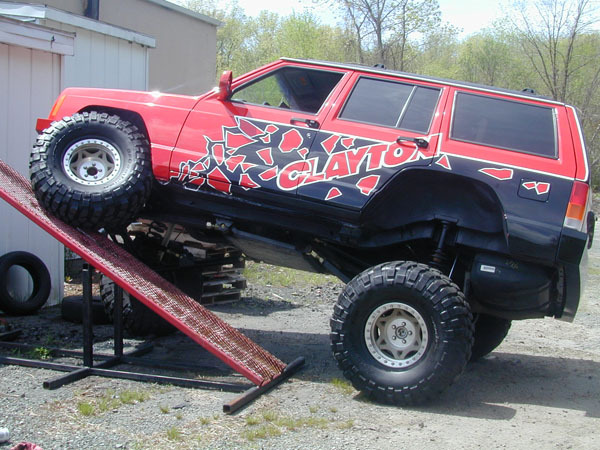 A SYE kit and CV style driveshaft is required.